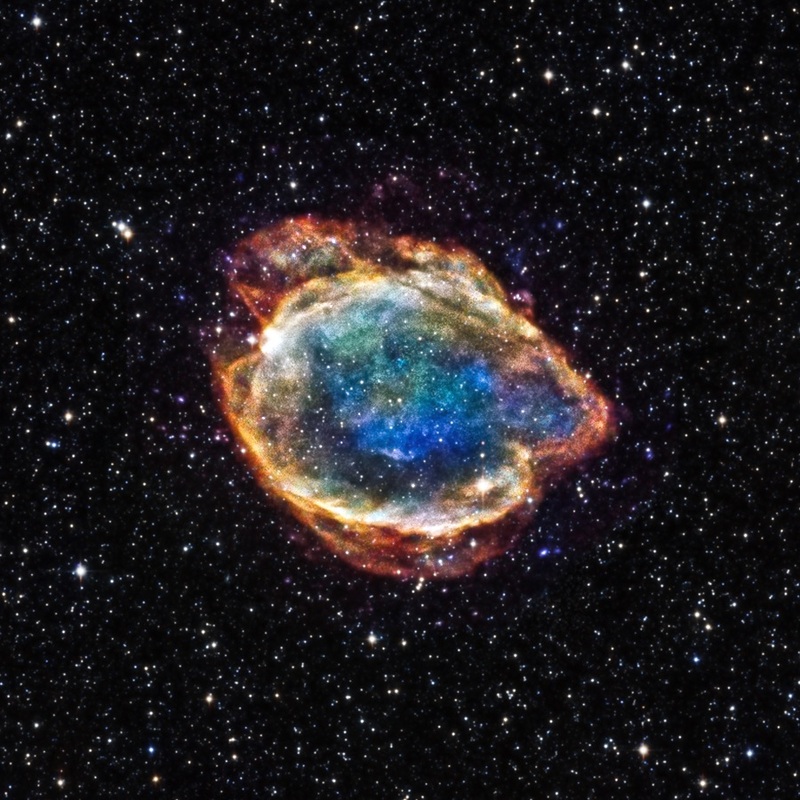 G299 was left over by a particular class of supernovas called Type Ia. Astronomers think that a Type Ia supernova is a thermonuclear explosion – involving the fusion of elements and release of vast amounts of energy − of a white dwarf star in a tight orbit with a companion star. If the white dwarf’s partner is a typical, Sun-like star, the white dwarf can become unstable and explode as it draws material from its companion. Alternatively, the white dwarf is in orbit with another white dwarf, the two may merge and can trigger an explosion.